Wisdom Cards are based on the 108 Laws of Wisdom and offer an inspired and creative way to communicate. 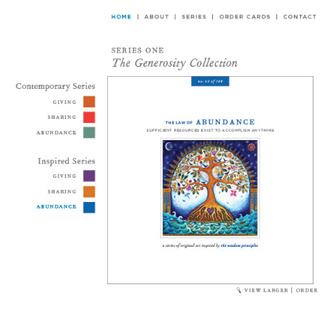 The Generosity Collection is the first among many series of Wisdom Cards. This series began with a dream of inspiring more creative ways of communicating with those who have given gifts or shared of themselves in some way.